Basketball Stat Tracker takes basketball statistics to a new level. Coaches, scouts, parents, and fans can use Basketball Stat Tracker to track, review, and share statistics from fast paced games. Our touch screen controls makes it easy to track stats. Builtin tutorials get you up to speed quickly. We have InApp for any questions you may have. Track on multiple devices at the same time (See MultiDevice Tracking Below) Track the stats/shots of a single player, your team, and/or both teams. to the number of seasons, games, teams or players! Add makes, misses, and shot locations with an intuitive touch system. Any mistake can be quickly undone or edited. Trackable stats rebounds, assists, blocks, steals, deflections, turnovers, charges taken, fouls received, fouls committed, possessions, and more. Use our inapp clock to track game and playing time. Substitute players quickly with two lightningfast methods. Official courts W W 2009) Go offline. No Internet connection required to track stats. MULTIDEVICE G (Premium Feature) Divide and conquer your stats as a team. Assign stat responsibilities and split up the tracking across multiple iPhones and/or iPads. Stats from contributing devices flow across a peer network (Bluetooth & WiFi) to a owner device and are joined into a complete record. No Internet connection or existing wireless network required. Contributing devices can track as much or as little as they choose. HEADSUP Tracking screen shows stats and percentages. See fouls, points and playing time per player. Review and manage team fouls and timeouts. See recent stats playbyplay. , Visualize and share the game with powerful reports. (See StatTracker.com Below) Use TAGs to organize stats your way. Filter data by team, game, player, period(s), and/or TAGs. Print directly from the app. Export to StatTracker.com Maxpreps.com, and Photo Album Create and manage seasons, games, teams and players. Stay focused. Stats are only tracked within the “Current Season”. Easily switch between seasons to manage multiple schedules/leagues/years etc. Start a new season from an old season. Backup/Restore via email Backup/Restore multiple seasons to the StatTracker.com cloud ER.COM TEGRATION (Premium Feature) Kickstart your season from a desktop/laptop and sync to your mobile device(s). Avoid touch screen data entry and enjoy improved management of seasons/schedules/rosters/etc. Optionally publish a growing range of reports shareable to anyone. Includes unlimited cloud backups. Try it out. The first month of access is our gift to you. Check these links to find your download for Basketball Stat Tracker for & iOS or for your device iPod TouchiPadiPhone. 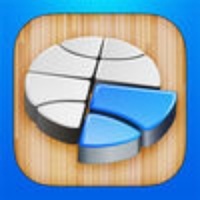 The app Basketball Stat Tracker is compatible with te following devices.